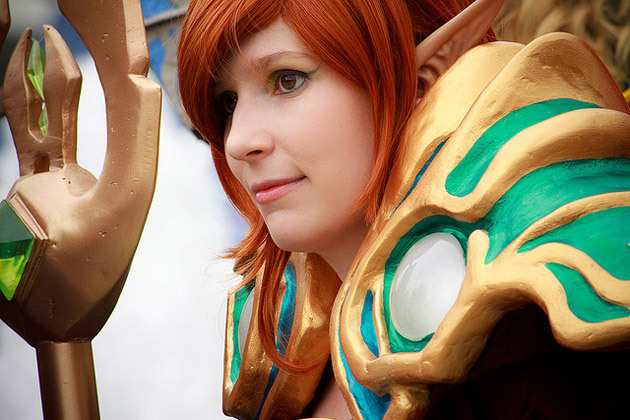 Blizzcon, the two-day Blizzard extravaganza, takes place on October 22-23 this year. Expect plenty of Cataclysm news, maybe even the announcement of a release date. Fun! But, small problem: getting to Anaheim, Calif. Maybe if you live in Southern California you can make a fun road trip of it, but flying 3,000 miles across the country isn’t exactly a spur-of-the-moment decision to take. In any event, SteelSeries (along with J!nx, BradyGames, and Cryptozoic) have got you covered. Well, if you win a big contest, that is. 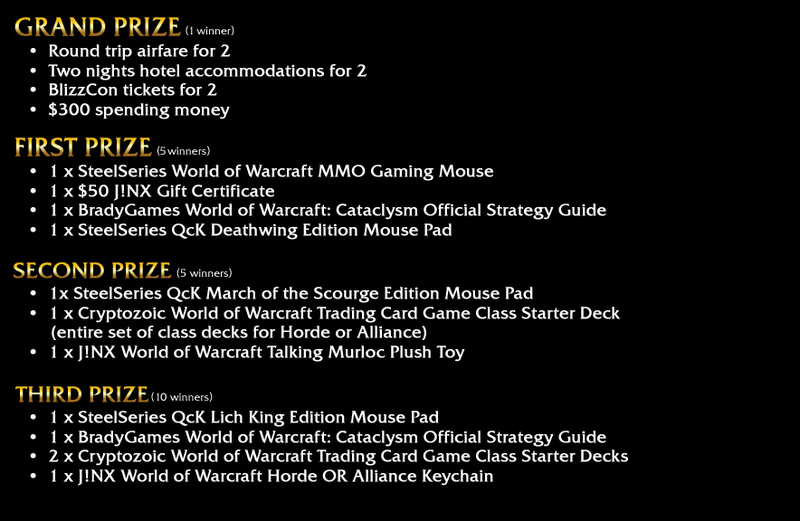 The big winners—two people will win the grand prize—will be given a free ride to Blizzcon. Hotel, airfare, the works. The best part is you don’t have to do anything beyond filling out a sweepstakes form. Name, email address, etc. Easy stuff. There’s other prizes beyond the grand prize. For example, you can also win the SteelSeries MMO Gaming Mouse—I believe they’ve fixed the button-sticking glitch I ran into with my mouse all those months ago—mouse pads, strategy guides, J!nx gift certificates, and more~! Provided I don’t win the contest, I will be watching the online stream like the rest of you.